The way you react to name-calling, however, makes a big difference in how likely your preschooler is to continue the name calling. Although it may be tempting to laugh when your preschooler calls you a silly name, paying too much attention to the name-calling encourages your preschooler to do it again. Similarly, if you get angry and turn it into a big deal, you may also inadvertently encourage the behavior to continue. Sometimes, ignoring words is the best course of action. If you don't show a big reaction, your child may move on and forget the word he tested out. If he repeats the word or he continues to show disrespect, it's important to intervene. Respond by saying, “That hurts my feelings when you call me names. Please don’t do that again,” and then walk away and focus on a different subject. This lets your child know that it is an inappropriate word won’t attract your attention. If your child is hurling insults because he's angry, it's important to teach him new skills. He needs to know it's not OK to use words that hurt other people's feelings. Teach your child a few simple anger management skills. Let him know that feeling angry is okay but hurting other people is not acceptable. Help him learn to verbalize his feelings so he can say, "I'm angry," rather than "You're stupid." 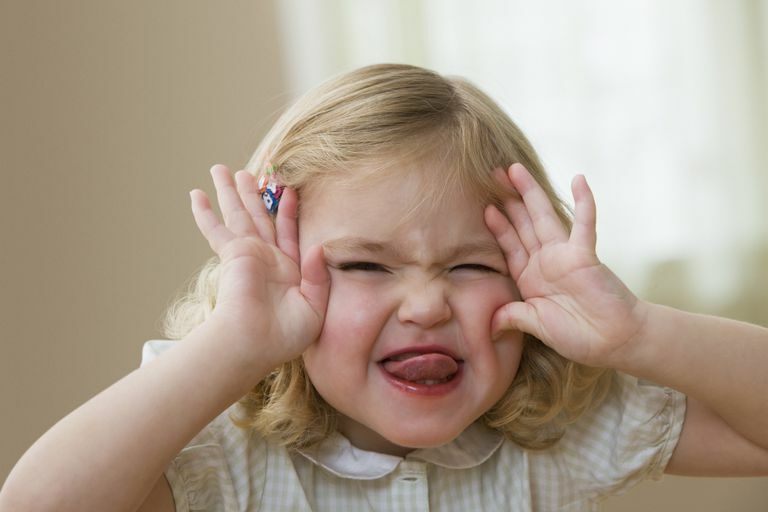 Kids who can say how they're feeling are less likely to show you that they're mad. If your child continues calling you names, or he starts calling his siblings names, provide a negative consequence. A brief time-out or removal of privileges may be necessary to help him learn that he can’t call you names. It’s important to curb the behavior as soon as possible so he doesn’t call other children names when he’s in school. Establish a rule about treating other people kindly. Make it clear that you don’t allow people to hurt anyone's body with physical aggression and that you also won’t allow hurting anyone’s feelings with verbal aggression. Teach how name calling hurts people and that it’s not a nice thing to do. Sometimes, even saying the word, “Ouch,” when your child calls you a name can reinforce to her that it hurts your feelings. Remind him of the rules when he calls someone names. Say, "We use kind words in our family and those words are not kind." Praise reinforces good behavior. So the more you praise your child for using appropriate language, the more likely she'll be to keep up the good work. If you swear or call people names in your everyday language, your child will copy you. It's essential to role model kind and respectful language. Don't allow name calling in the house. That includes pets. If you call the dog stupid, your child will begin calling people stupid. Don’t ever call your child names. Saying things like, “You’re such a brat,” reinforces to your child that it’s okay to call people names (not to mention it can cause some emotional scars). Role model how to use kind words, even when you’re feeling angry and frustrated.